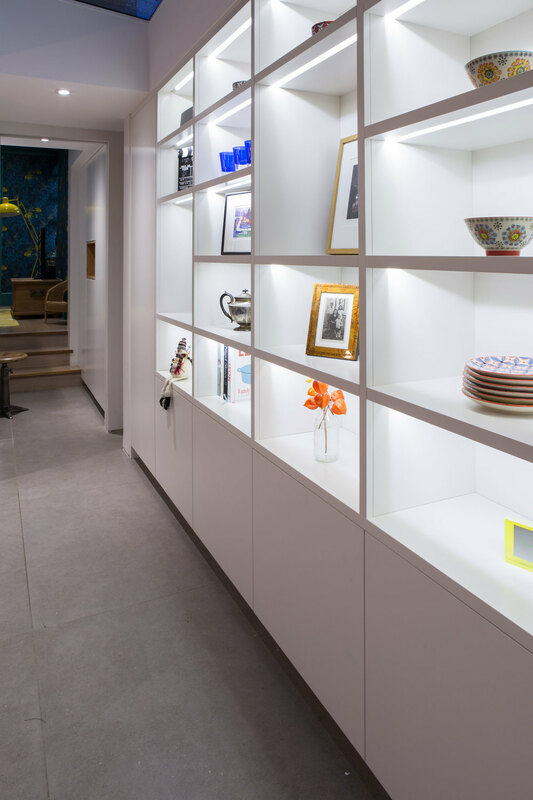 The shelving unit in this carpentry project has angled recessed lighting, meaning the led's are never in direct view. The unit is spray painted, with a spray painted chalkboard door at one end. We also built a cupboard with an oak veneered plywood display box, and an alcove desk and shelving with recessed lighting.